﻿Recently graduated from Cambridge University, Jack Foister was working as a schoolteacher in Peterborough when conscription was introduced. 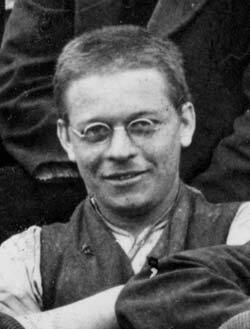 He was one of the first batch of COs to be sentenced to death in France in May 1916. After the sentence was commuted he was sent to Dyce Camp in Aberdeenshire, and later Maidstone prison. After his release he went back to teaching maths at Caterham School until retirement.